Collaborate better. Distribute Faster. Reach your targets. 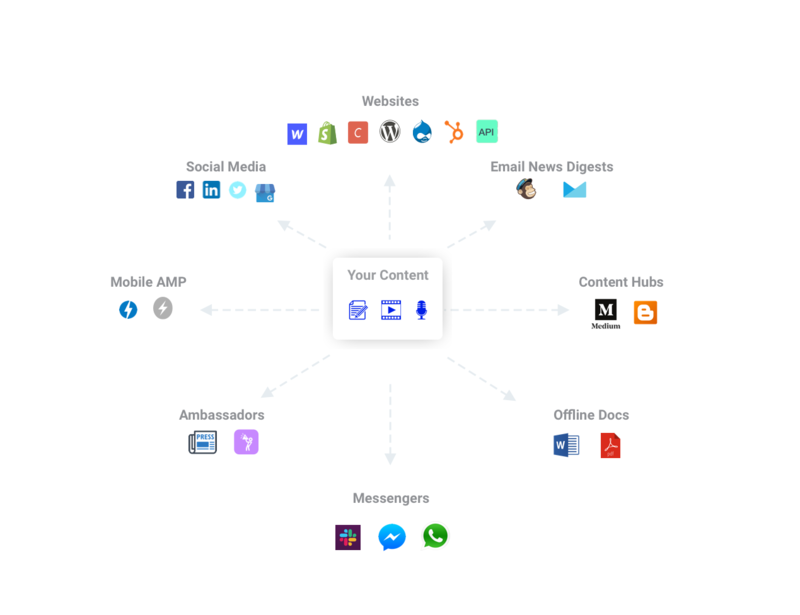 Centralize collaboration and distribution flows, reach new audiences and be present on all the channels where your readers are. Work in a modern environment, focus on creativity and don't worry about technical hurdles. StoryChief does all the hard work for you. Save up to 8 hours on collaboration and multichannel publishing. Why wait? Let’s start a conversation. Collaborate more efficiently, give and receive feedback faster, approve as you go, have a centralized view, and track all changes in detail. 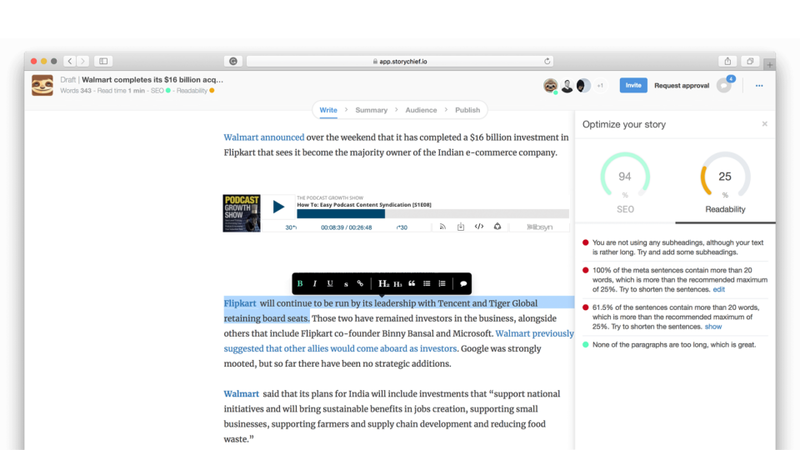 The easy-to-use, intuitive interface makes sure that you cover the whole editorial collaboration process and that you can easily enrich your content with visual content. Our advanced technology ensures that your layout will look as it should on every channel. Say goodbye to tedious copy-pasting. "We use StoryChief daily in our team and we invite guest writers on a regular base. 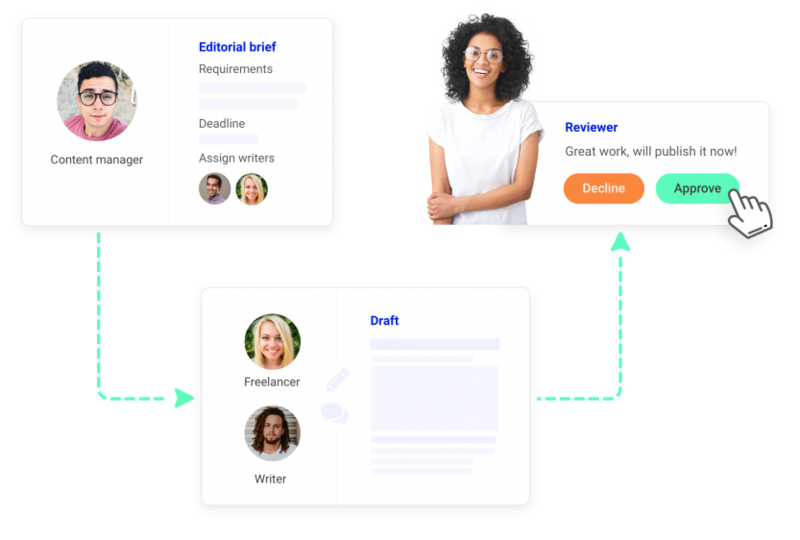 The biggest positive outcome is that the Storychief tool makes it fun and easy to create and publish content without extensive knowledge of a complicated CMS system. Plus, our CTR has more than doubled!" 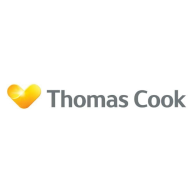 Thomas Cook is a world-renowned tour operator that uses StoryChief to generate leads through storytelling. The results they got are jaw-dropping! Simultaneously deliver news to target audiences at the right time. Share through social media, embed stories in automated newsletters, and publish to communities. Promote stories through your colleagues, ambassadors and influencers. "The tool saves us 8 hours of time on collaboration per week. Different authors, guest writers or freelancers can get access to an article to add, write or adapt content. Small technological interventions can make a great deal of difference." Bloovi is an online publisher that finally waved 'goodbye' to copy-pasting and sharing articles manually on every channel they own. 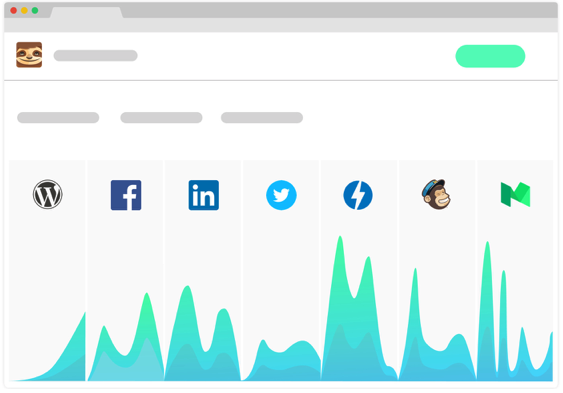 With StoryChief they save time, increase their audience reach and work more productively! The main strength of StoryChief? It's an all-in-one publishing tool with an intuitive design that makes it easy to manage our content flow. According to me, this ease of use is the greatest asset of StoryChief. Also, the fact that the StoryChief team understands the importance of an ongoing optimization strategy is important to us. I am incredibly excited about @StoryChiefApp. Anyone who creates multichannel content, needs approval workflows or wants to plan campaigns should check this out. Beautiful intuitive product, completely beats much more established alternatives. 2019 Story Chief NV. © All Rights Reserved.